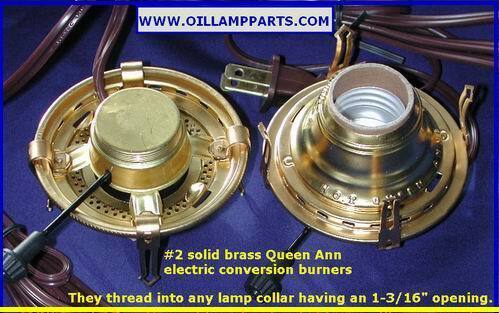 Fits a #2 size lamp collar having a 1-3/16" inside diameter. Cord is clear with visible copper wire cores. On/off switch on the side of the burner.